Here at ChiIL Live Shows we're so very excited for this remount for too many reasons to count. I've adored Ionesco since my college intro to his Theatre of the Absurd began with Rhinoceros. I'm also quite fond of Shira Piven's work, Michael Shannon, Guy Van Swearingen (original cast members)... and the rest of this cast of Chicago's finest. A Red Orchid Theatre is at it again, bringing vividly stunning works and star power to their intimate Old Town storefront. This is where theatre gets real. Don't miss this! Book ASAP. This run is sure to sell out. A Red Orchid Theatre presents a special summer engagement of Victims of Duty by Eugene Ionesco and directed by Shira Piven. Victims of Duty runs July 11 – August 5, 2018 at A Red Orchid Theatre, 1531 N Wells in Chicago. 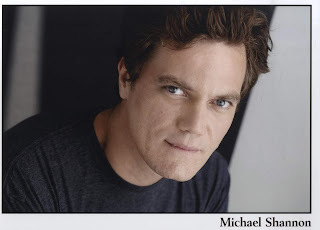 The cast of Victims of Duty includes original cast members Ensemble Members Michael Shannon (The Detective) and Guy Van Swearingen (Choubert), as well as Karen Aldridge (Madeleine), Rich Cotovsky (Nicolas D’eu), and Ensemble Member Mierka Gierten (The Lady). Much of the original 1995 team come together to revisit Ionesco's absurd masterpiece. Choubert, the archetypal bourgeois everyman, and his wife Madeleine are spending a quiet evening at home when the Detective arrives to enlist their help in finding the previous tenant. A roller-coaster ride of high comedy and horrific tragedy as Choubert examines his past present and future in a quest to find out where Mallot could be hiding. In addition to Director Shira Piven, the creative of Victims of Duty includes Danila Korogodsky (Production Designer), Ensemble Member Mike Durst (Lighting Designer), and Brando Triantafilou (Sound Designer). Tickets, priced at $50, will go on-sale Wednesday, May 30 at noon and may be purchased at the A Red Orchid Theatre Box Office (1531 N. Wells Ave, Chicago) by calling (312) 943-8722, or online www.aredorchidtheatre.org. EUGENE IONESCO (Playwright) was a Romanian-born French playwright. He studied in Bucharest and Paris, where he lived from 1945. His first one-act antiplay, The Bald Soprano (1950), inspired a revolution in dramatic techniques and helped inaugurate the Theatre of the Absurd. He followed it with other one-act plays in which illogical events create an atmosphere both comic and grotesque, including The Lesson (1951), The Chairs (1952), and The New Tenant (1955). His most popular full-length play, Rhinoceros (1959), concerns a provincial French town in which all the citizens are metamorphosing into rhinoceroses. Other plays include Exit the King (1962) and A Stroll in the Air (1963). He was elected to the Acadmie Franaise in 1970. SHIRA PIVEN (Director) is a director of both stage and film. She was the child of theatre people and established herself originally as an actress and stage director in Chicago in the 90's. Shira has directed numerous stage productions, many of them original adaptations, in New York, Chicago, LA, and Washington D.C. She was the director and a founding member of Burn Manhattan spontaneous theatre, a groundbreaking group performing entirely improvised physical theatre throughout New York City. 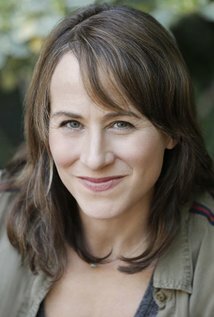 In Los Angeles Shira developed and directed the plays Little and All Cake No File at the Actor’s Gang Theatre and Fully Loaded at UCB Theatre. Her first foray into film combined live theatre with film sequences in Water's show Death of a Judge in 2003. Shira completed her second feature film, Welcome To Me, starring Kristen Wiig in 2015. Her first feature Fully Loaded won the audience favorite feature award at Palm Beach International Film Festival as well as best feature at both The River's Edge International and Carmel Art and Film Festivals. It was also featured at the Boston, San Luis Obispo, Talking Pictures and Newport Beach film festivals and released by Starz. She also directed a short documentary The Beast and The Angel that premiered at the Lincoln Center Film Society and aired on PBS. MICHAEL SHANNON (The Detective) is a founding member of A Red Orchid Theatre. He directed the world premiere of Traitor by Brett Neveu earlier this year and made his directing debut here with Ionesco’s Hunger and Thirst. He has been seen on stage at A Red Orchid in Pilgrim’s Progress, Simpatico, Mistakes Were Made, Gagarin Way, Mr. Kolpert, BUG, 'Tis Pity She's a Whore, The Killer, The Persecution of Arnold Petch, Canus Lunis Balloonis, Victims of Duty, and Drinking in America. Elsewhere around Chicago, he has worked at Steppenwolf, Lookingglass, Northlight, Famous Door (RIP), and the Next Lab, birthplace of Killer Joe, in which he originated the role of Chris Smith and performed it a gillion times all over God's green earth. 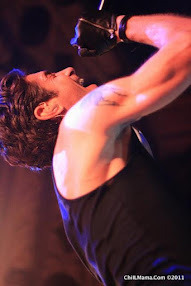 Mike currently lives in NYC where he Performed in Ionesco's The Killer with Theatre for a New Audience and made his Broadway debut in Grace at the Cort Theatre. He also played Astrov in Annie Baker's adaptation of Uncle Vanya at Soho Rep, directed by Sam Gold. 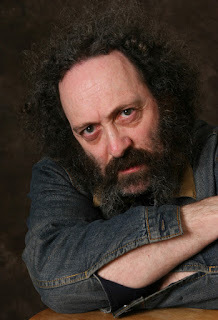 Film credits include Groundhog Day, Chicago Cab, The Ride, Jesus' Son, Cecil B. Demented, Tigerland, Pearl Harbor, 8 Mile, Bad Boys II, Kangaroo Jack, Grand Theft Parsons, The Missing Person, Zamboni Man, Revolutionary Road, My Son My Son What Have Ye Done?, Shotgun Stories, Take Shelter, Mud, Machine Gun Preacher, Premium Rush, The Iceman, Man of Steel, 99 Homes, Free Held, Elvis & Nixon, The Shape of Water, Fahrenheit 451 and more. On TV: Boardwalk Empire, and the recent miniseries Waco. GUY VAN SWEARINGEN (Choubert) is founding Artistic Director and Ensemble Member of A Red Orchid Theatre where he has appeared in over a dozen productions, including Traitor, The Nether, Red Handed Otter, The Sea Horse (Jeff Nomination), Simpatico (Jeff Nomination) and the World Premiere of The Opponent (which was also produced at 59E59 in NYC). 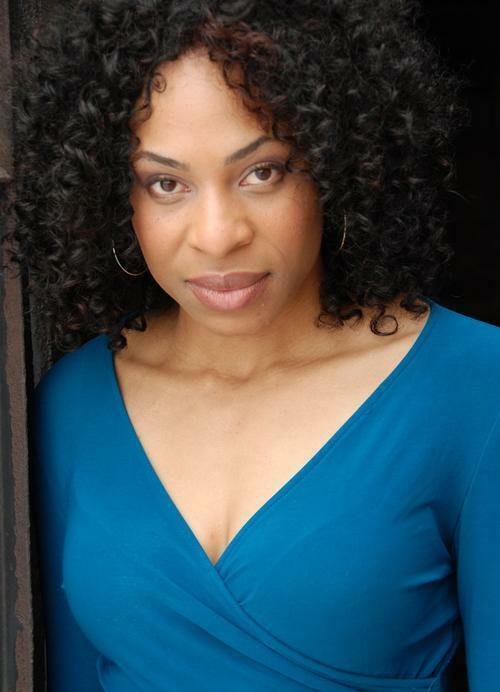 Regional credits include Simpatico at the McCarter Theatre, The Sign in Sidney Brustein’s Window at the Goodman Theatre, the World Premiere of Taking Care and a revival of The Time of Your Life at Steppenwolf (which transferred to Seattle Rep and A.C.T.) and Eleven Rooms of Proust (a Lookingglass/About Face/Goodman Theatre collaboration). Other local theatres he’s appeared with include Defiant, Plasticene, Famous Door and Mary Arrchie. Film credits include Captive State (2018 release), The Dilemma, The Merry Gentleman, Take Shelter, Public Enemies, The Weatherman, Ali, Janie Jones and The Unborn. TV credits include Chicago Fire (NBC), Boss (STARZ), Sirens (USA), Detroit 1-8-7 (ABC), Gifted Hands: The Ben Carson Story (TNT), The Beast (A&E), Turks and Early Edition (CBS). 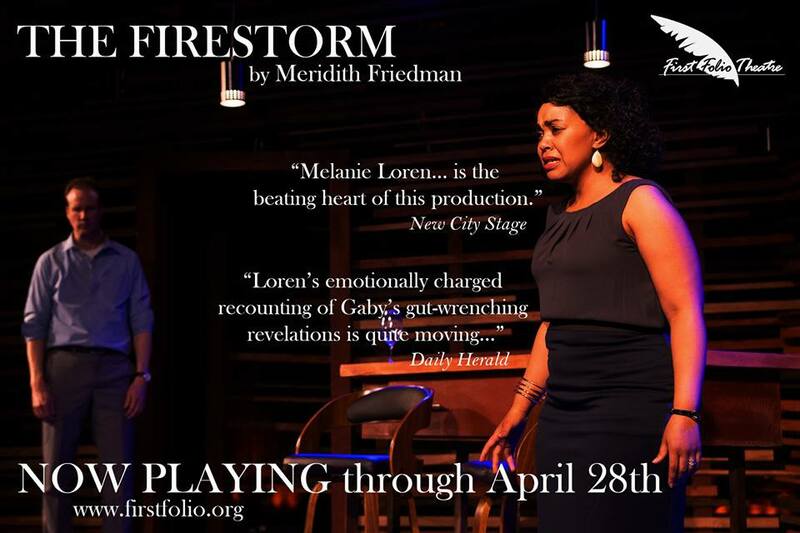 KAREN ALDRIDGE (Madeleine) is a critically acclaimed theater artist consistently starring in productions at Chicago's most prestigious theaters such as The Goodman Theatre, Steppenwolf Theatre and Chicago Shakespeare Theatre. Karen originated the role of "Mrs. Phelps" in Matilda on Broadway. She also toured around the world in Le Costume with the Theatre des Bouffes du Nord. Karen has been nominated for two Joseph Jefferson Awards. On television, Karen has appeared in a recurring role as "Dr. Kendra" on NBC's CHICAGO FIRE and as "Dr. Ella Harris" in the Golden Globe winning series BOSS. Other television & film credits include CBS' Blue Bloods, CBS' Unforgettable and Ron Howard's THE DILEMMA. RICH COTOVSKY (Nicolas D’eu) directed the very first show at A Red Orchid Theatre in 1993. He was the founder and Artistic Director of Mary Arrchie Theatre Company for all of it’s 30 years. Cotovsky has performed in or directed more than 50 productions at Mary-Arrchie and other theaters, along with the occasional film, television, and commercial gig. Among his favorites: a record-setting run as the Hellcab cabbie and the role of Arthur in Mary-Arrchie's 2012 production of Tracy Letts's Superior Donuts, which he workshopped and understudied at Steppenwolf. Though Rich and Guy and Mike have collaborated many times, this is the first time they will share the stage outside of the occasional late-night talk show at Mary Arrchie’s Abby Hoffman Died for our Sins festival. 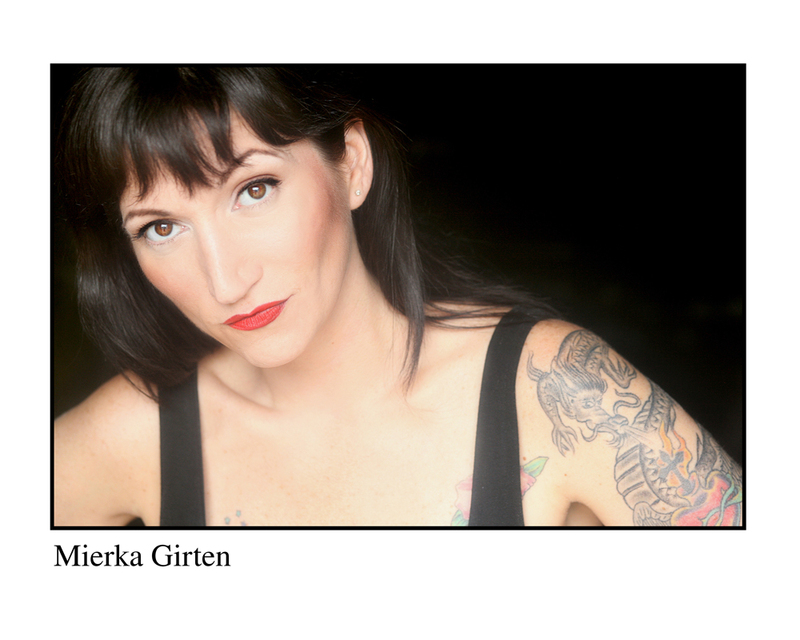 MIERKA GIRTEN (The Lady) is an ensemble member at A Red Orchid, where she has been seen in over thirteen productions, including The Room, The Mutilated, Simpatico, Red Handed Otter, Mud Blue Sky and Abigail’s Party among others. Mierka was honored to reprise her role in Simpatico last fall with A Red Orchid at The McCarter Center in Princeton NJ. She played Maria Callas in Master Class at The Human Race Theatre Company in Dayton Ohio. Additionally, she has worked with The Hypocrites, Rivendell Theatre, Porchlight Music Theatre, Cobalt Ensemble, Apple Tree, Provision, Strawdog, Circle Theatre, American Blues, Mary-Arrchie, Live Bait, Roadworks, Steppenwolf and The Goodman. She played Esther in Mistakes Were Made both here at A Red Orchid and in the Off-Broadway Barrow Street Theatre production with friend Mike Shannon. Her voice can be heard on national broadcast and web commercials. DANILA KOROGODSKY (Production Designer) is a director and stage designer. He is the Artistic Director of Pokoleniy Theater in St. Petersburg, Russia and serves as the head of set design at California State University, Long Beach. Born into a theatrical family, his father Zinovy Korogodsky, a Stanislavsky prize winner, was one of the most important directors and theater pedagogues in Soviet Union. His mother, Liah Danilina, was a playwright. Danila grew up and was educated in the Soviet Union. He graduated from Leningrad Theater Academy in 1977 as a stage and costume designer, and after graduation worked as a resident designer at the Leningrad TYS (Theater for Young Spectators) - a premier company for young audiences in the Soviet Union. During that time he also worked as a freelance designer for theaters around the country designing more than 80 productions for various companies such as Baku Youth Theater, Tallin Drama Theater, Leningrad Comedy Theater, Novy Drama Theater, Mossoviet Theater, Ilkhom Theater, and Tashkent. In 1989 he was invited to design a show at Honolulu Theater for Youth. Since then he has worked in the United States as a stage designer and design professor. He designed more than 250 productions in the United States and around the world. 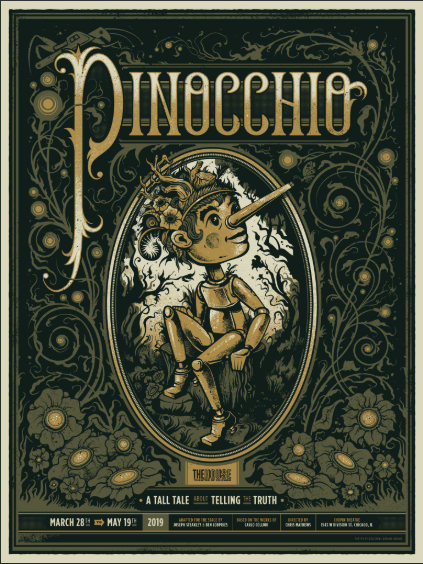 He also started designing for the opera, and has worked with Chicago Lyric Opera, Opera Bielefeld and Opera Dessau in Germany, Opera Nantes in France, The Spoleto Festival and Opera Theater of Pittsburgh. Other theatrical design work has been with NYC Japan Society, A Noise Within, Actors Gang, Pittsburgh Playhouse, Minneapolis Children Company, ACT, Wheelock Theater, and more. At Pokoleniy Theater in St. Petersburg, Russia. He has directed Without Lear based on King Lear by Shakespeare, Far Away on Lake Tchad, The Table, Peter-Burg, Songs of Love and Death, The Light Bulb all conceived and developed by the company, which were well received by the Russian and international press. He developed a project based on a play by Maxim Gorky The Summer Folks, which opened in Theater Pokoleniy in October 2012. Wednesday, July 11 at 7:30 p.m.
hursday, July 12 at 7:30 p.m.
Saturday, July 14 at 3:00 p.m. and 7:30 p.m.
Press Performances: Saturday, July 14 at 3:00 p.m. and 7:30 p.m. Opening:Sunday, July 15 at 7:00 p.m.
Tuesday, July 17 at 7:30 p.m.
Saturday, July 21 at 3:00 p.m. and 7:30 p.m.
Sunday, July 22 at 3:00 p.m.
Thursday, July 26 at 7:30 p.m.
Saturday, July 28 at 3:00 p.m. and 7:30 p.m.
Sunday, July 29 at 3:00 p.m. and 7:30 p.m.
Tuesday, July 31 at 7:30 p.m.
Wednesday, August 1 at 7:30 p.m.
Friday, August 3 at 7:30 p.m.
Saturday, August 4 at 3:00 p.m. and 7:30 p.m.
Sunday, August 5 at 3:00 p.m. Concluding our 25th season of ambitious and powerful storytelling, we continue to champion A Red Orchid Theatre’s Red League, which is a gift $1k or more, and the Founders Circle, which is a gift of $5k or more annually for a three-year pledge. These donors represent a community of our most committed and impactful cultural investors. Every profound and shocking moment on our stage is made possible through their critical annual contributions. Their philanthropic leadership fosters the development of raw and relevant work, creates a platform for our talented ensemble to reach new audiences, and ensures that A Red Orchid Theatre remains a source for honest, compassionate, and aesthetically rigorous theatre. A Red Orchid Theatre has served as an artistic focal point in the heart of the Old Town community of Chicago since 1993 and was honored with a 2016 MacArthur Award for Creative and Effective Institutions. Over the past 25 years, its Resident Ensemble has welcomed into its fold an impressive array of award-winning theatre artists with the firm belief that live theatre is the greatest sustenance for the human spirit. 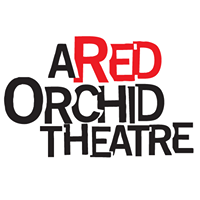 A Red Orchid is well known and highly acclaimed for its fearless approach to performance and design in the service of unflinchingly intimate stories. In addition to its professional season, the company is also committed to a Youth Project and hosts The Incubator (providing artists with space and time to explore new work, new forms and new artistic collaborations).